a beautiful place ... I like that place very much. Ihope to go there again this summer.. 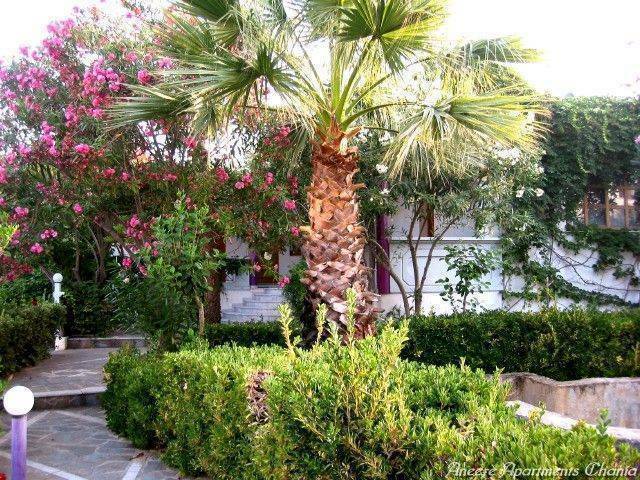 The 5 apartments are located in Daratsos , New Kydonia, only 4 km from Hania and 1, 2 km from the beach in one of the most beautiful spots of the Crete Island. The west part of Crete offers some unique places with beautiful nature and full of history. 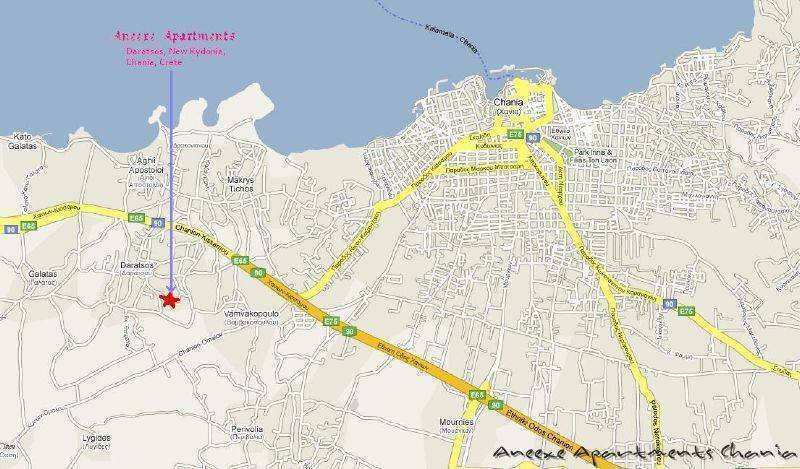 All apartments have separate bedroom and can accommodate from 1 up to 3 people . All of them have air-conditioning and heating , large private balconies with nice view to the mountains or to the city, or to the beautiful garden, fully equipped kitchenette, bathroom with shower and color TV. In the area you can find super-markets, traditional restaurants, taverns and cafes. From here you can make some very nice tours and discover Crete by bus or car or boat.